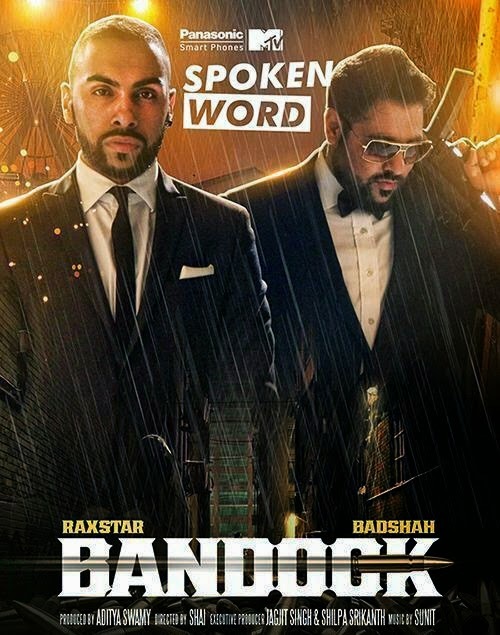 Raxstar and Badshah Comes together in a Single track 'Bandook' for MTV's Spoken Word. Music to song is given by Sunit. Official Music Video of Song Bandook Feat Raxstar and Badshah. Raxstar and Badshah Comes together in a Single track 'Bandook' for MTV's Spoken Word. Yo Yo Honey Singh was the first to be featured in MTV Spoken Word from Punjabi Music Industry. After that, RDB's Manj Musik and Raftaar - Ex Member of Team Yo Yo Honey Singh, were released on spoken word with track 'Swag Mera Desi Hai'. Its a coincidence that Badshah is also from Team Honey Singh, parted their ways on credential issues as It is said most of the earlier songs of Honey Singh were penned by Badshah and Raftaar, but Yo Yo seldom gave them a credit for that, However the authenticity of the fact is just based on public opinions. Badshah is also on the same path of Success, that Honey Singh has achieved. His single Saturday Saturday featuring Indeep Bakshi was recently included into Humpty Sharma Ki Dulhania and His next track 'Abhi Toh Party Shuru Hui Hai' is going to be out in Bollywood Film 'Khoobsurat' starring Sonam Kapoor and Fawad Afzal Khan. Raxstar is a British Rapper from Luton Town who first came to prominence in 2005 with his producing partner Sunit. His recently released single 'Takhe Raat De Nazaareh' ft Sudesh Kumari in the music of USR has topped the BBC Official Asian Music Chart. Music of the song Bandook Featuring Raxstar and Badshah is done by Sunit. Song is produced by Aditya Swamy and Directed by Shai will be out on August 1st, Till then Stay Tuned!